In our endeavour to make the navigation around our site , a handy reference for all our visitors , showing as well as non- showing , we covered a variety of topics, ranging from the early history of the dachshund to the modern - day breed standard, complemented by general sections on dog / puppy management and responsible dog ownership. 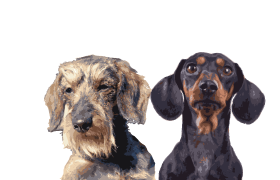 For those eager to know more about the construction and conformation of the dachshund this site contains superb illustrations which will not only benefit breeders and exhibitors , but also be of tremendous value to aspiring and established judges . 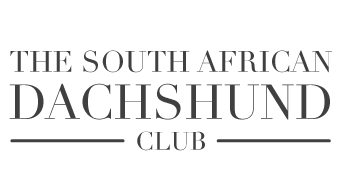 Also included, is the club Constitution which every member should take the trouble to peruse. Today Dachshunds are amongst the most popular breeds registered in most countries of the world. 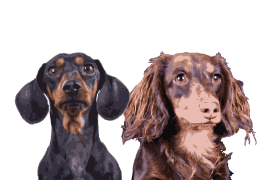 This does not suggest that indiscriminate breeding is practiced, but rather that all varieties have a large following of discerning breeders world - wide, all of whom strive to breed the perfect dachshund.